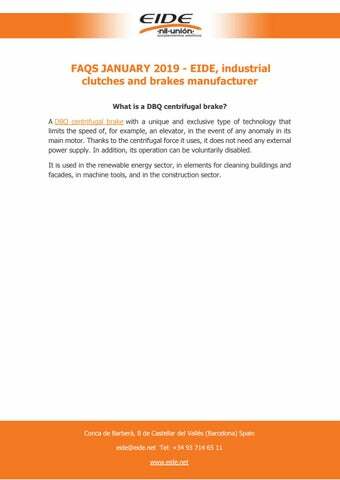 FAQS JANUARY 2019 - EIDE, industrial clutches and brakes manufacturer What is a DBQ centrifugal brake? A DBQ centrifugal brake with a unique and exclusive type of technology that limits the speed of, for example, an elevator, in the event of any anomaly in its main motor. Thanks to the centrifugal force it uses, it does not need any external power supply. In addition, its operation can be voluntarily disabled. It is used in the renewable energy sector, in elements for cleaning buildings and facades, in machine tools, and in the construction sector. 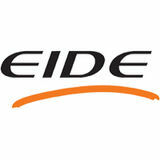 Frequently asked questions about industrial clutches and brakes by Eide.